Crust affixed. Ready to go in the oven. Mix the ingredients for the crust in a small bowl. (chopped pistachios, chopped figs, diced garlic, chopped sage leaves, chopped pecans, pinch of salt and pepper). 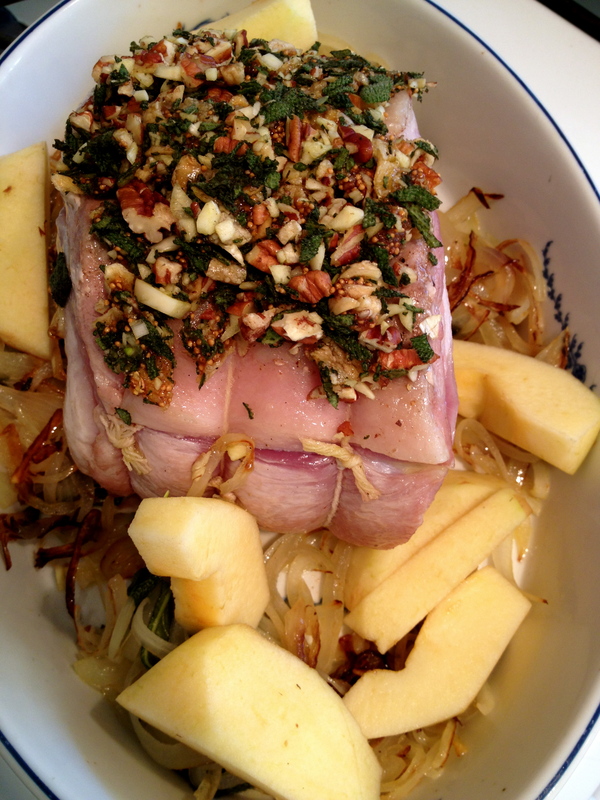 Slice the onion and saute in a little olive oil until it is soft and tender and beginning to caramelize. 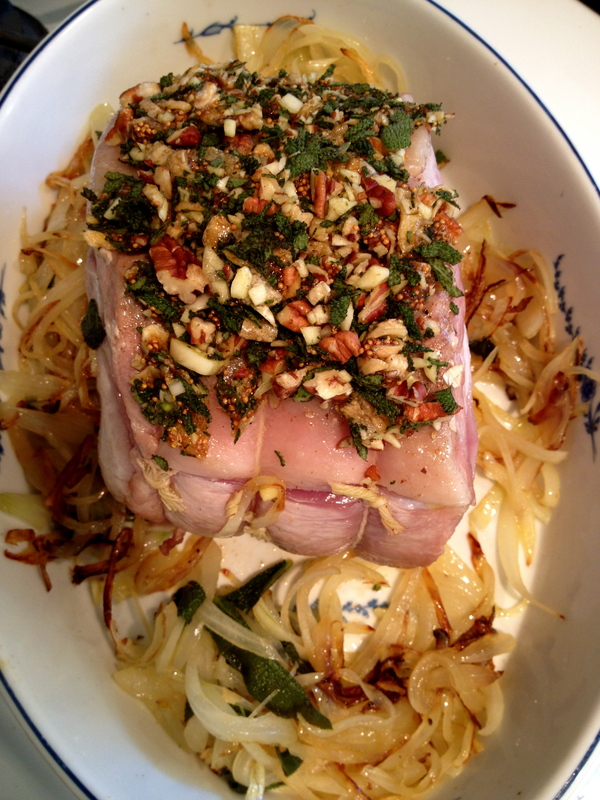 Roast the pork on its own for about 20 minutes at 400 degrees F to get it going. 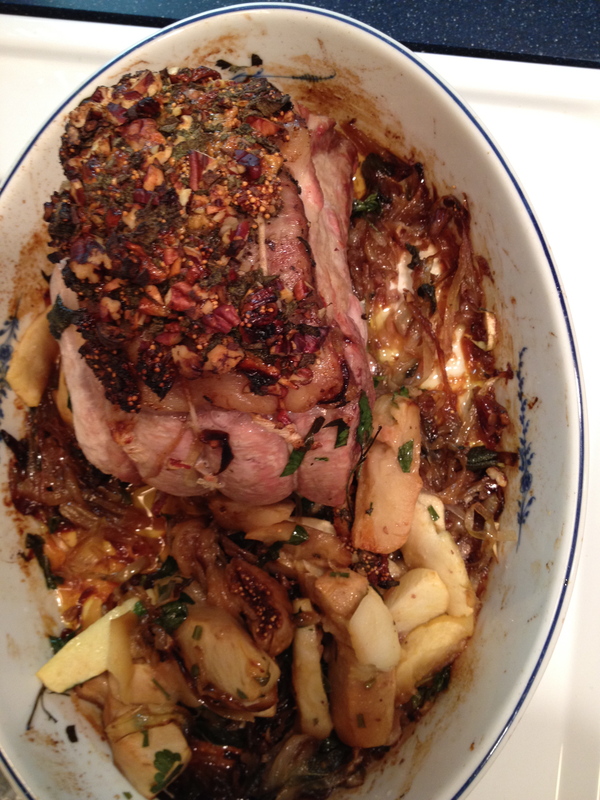 Then take it out, pour the caramelized onion into the bottom of the roasting pan, sit the pork on top, surround with apple chunks, and affix the crust. Roast for about an hour and 45 minutes. 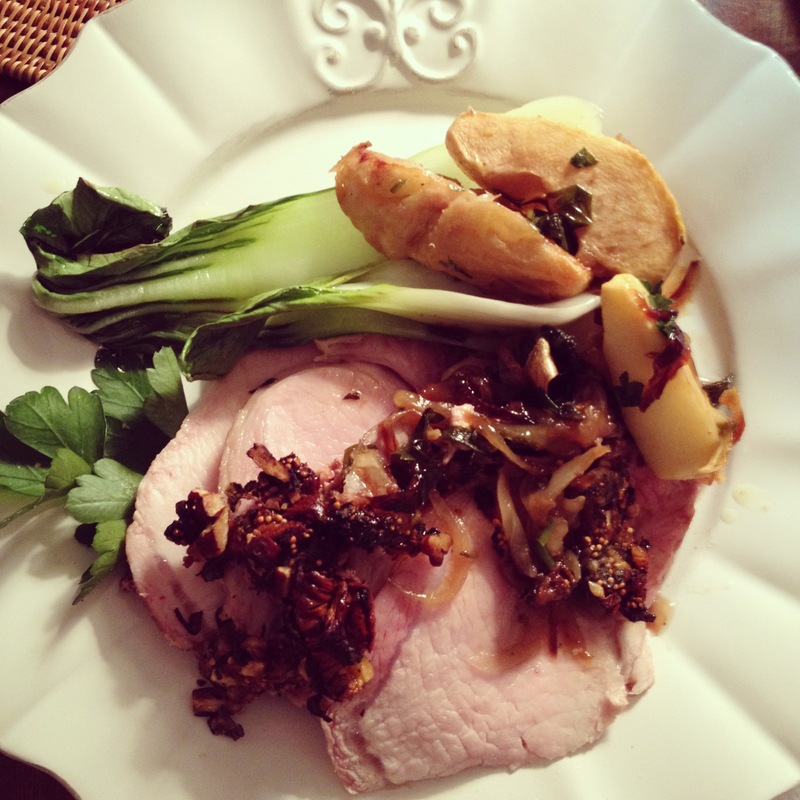 Steam the bok choy while the pork is resting. First saute the sliced onions and roast the pork for about 20 minutes to get it started. 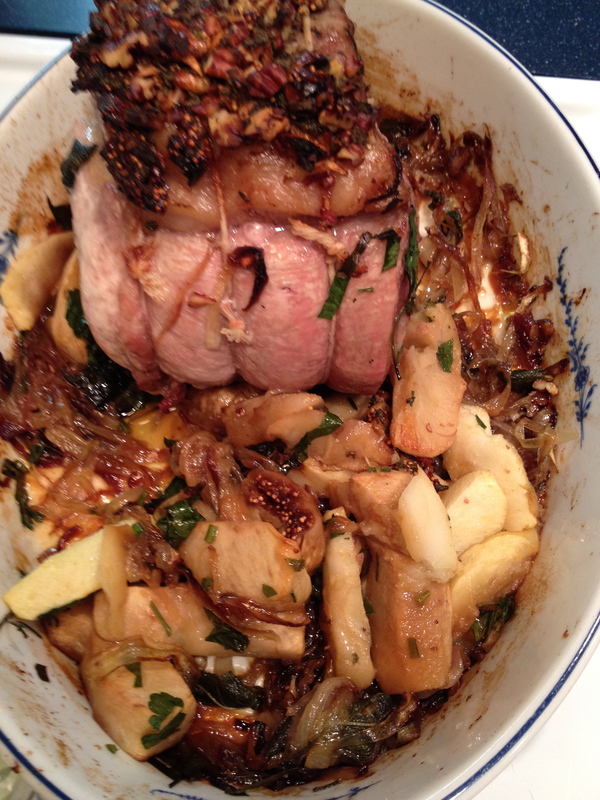 Then lay the roast in a roasting pan atop the onions. Affix the crust and surround with a few apple wedges. 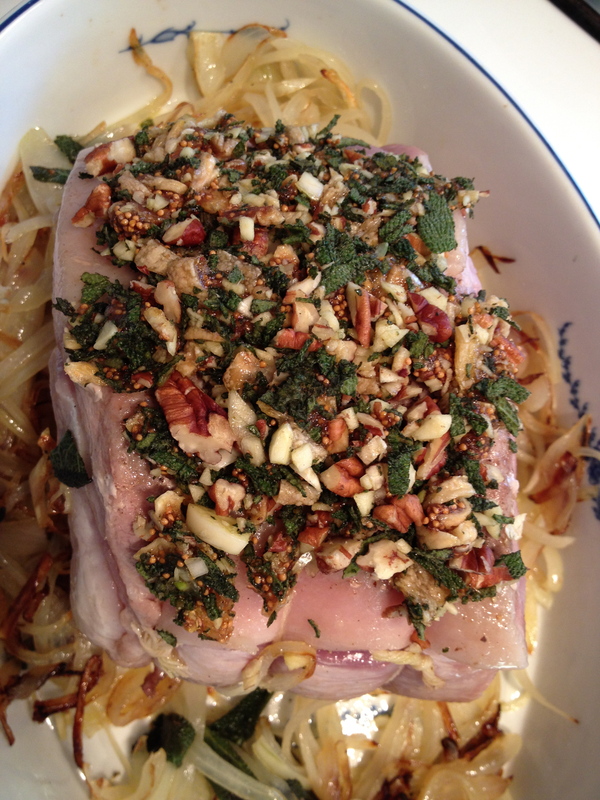 The crust should cook atop the pork and become one piece, yet moist and loose enough to break up into servings. 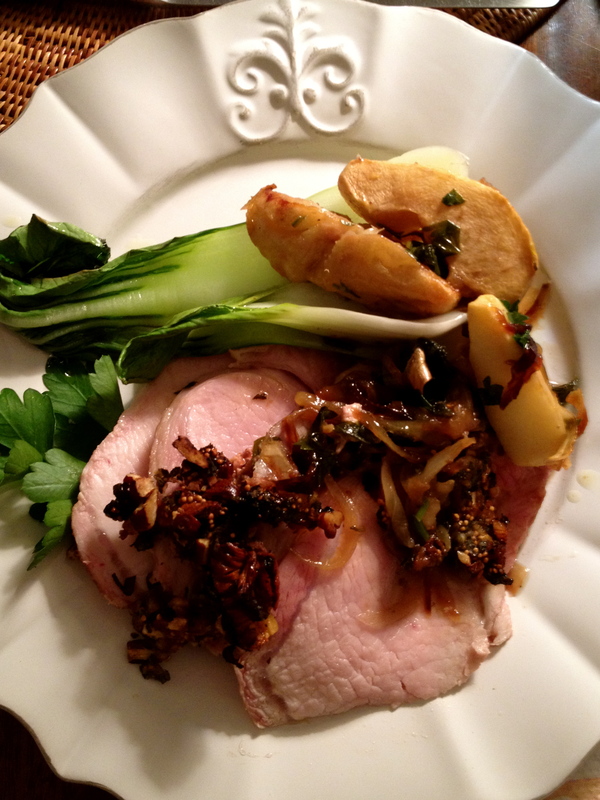 Steam the bok chuy and serve alongside the pork and baked apples. Enjoy your blog and hope all is well. This looks like a tasty and interesting dish!!! Whats up with you these days?